Ultimate in luxury, King beds, Ocean facing. Complimentary Wi-Fi, airport transfers, head and shoulders massage for a couple once per stay. 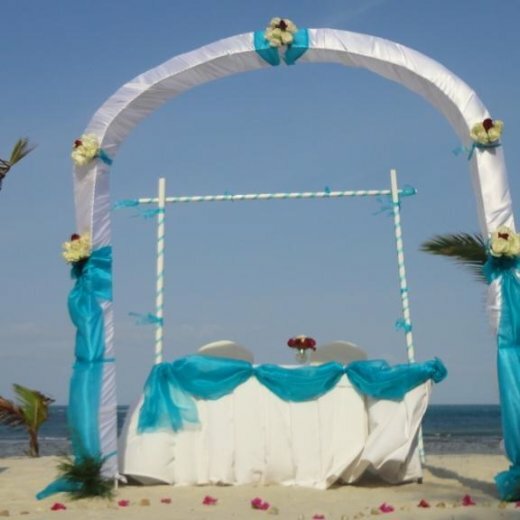 Amani Tiwi Beach Resort is a breathtaking Five star resort located at Mombasa's South Coast at Tiwi 20 km south of Mombasa near Diani Beach, offering a beautiful blend of eco, African and Swahilli influences in design, lush landscaped gardens and a private white sandy beach overlooking the Indian Ocean. With all the comforts of the modern day, Amani Tiwi Beach resort is an eco friendly haven. Public areas, including Restaurants & Bars, poolside & private beach have access for the physically challenged to ensure their comfort and wellness. 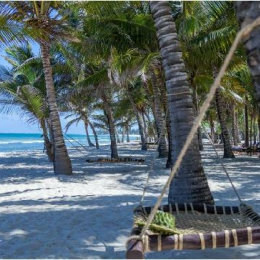 At Amani Tiwi Beach Resort, you can stroll along the soft white sands of the resort's beach, take a cool dip in the pool, simply relax on the beach, watch the sunrise over the savannah or sit back and enjoy the charms of the African wilderness. Amani Tiwi Beach Resort has a total of 209 air-conditioned rooms, including 110 interconnecting rooms and 4 rooms specially designed to be wheelchair accessible. All rooms enjoy Split unit Air Conditioning, LCD Satellite TV, High speed Wifi internet connectivity, Telephone, Mini-fridge, in-room safes, Tea / Coffee making facilities, hair-drier, Mosquito net and balcony. La Bella Vita restaurant: Serves speciality Italian Cuisine with wood-fired pizza oven at the beachside. Sultan Dhow restaurant : Serves middle Eastern cuisine & Seafood delights-overlooking the Indian Ocean. There are four bars in the resort to relax and enjoy all types of drinks. We had an all around great stay save for the miscommunication problems initially. Beautiful place. It was okay. We enjoyed it.